This review is a day late courtesy a bad batch of dim sum which did its best to kill me from the inside. Let me start my review of Wall Street: Money Never Sleeps by saying I’m not much of an Oliver Stone fan. There’s not any one thing I dislike about Stone, more it’s the sum total of the Oliver Stone Film Experience–filmmaking too clever for its own good–that bugs me. Stone is a good filmmaker who too often gets tripped up on his own Ideas and it annoys me when no one stops him from finalizing his messes. Wall Street 2 is a perfect example of this. It’s a perfectly fine movie that could have been above-average good but was wrecked by too much story clutter and messy editing. Cinematically speaking, Wall Street 2 was fine. Seriously, Stone on his worst day is still better than at least 85% of other filmmakers, and Wall Street 2 was as slick and well-acted as you could want. Michael Douglas, Shia LaBeouf, Josh Brolin and Carey Mulligan all turned in solid performances, and Susan Sarandon stood out in a small role. No, the problems with Wall Street 2 all stem from too much story being crammed into too much movie and it was oddly boring. There were three movies competing in Wall Street 2. Any one of them could have been an interesting, entertaining film but all three mashed together made for an uneven plot that became boring when I couldn’t decide which story to care about. On Gordon Gekko’s return, I was pleased. I’m not a huge Michael Douglas fan (as with Oliver Stone, I mostly don’t see what all the fuss is about), but to me Gordon Gekko is the role that defines him. And twenty-three years after first creating the character, Douglas steps easily back into Gekko’s shoes. In turns cunning, avuncular, bitter and charming, Gekko post-eight years in prison—for insider trading and fraud—hasn’t lost an ounce of the predatory sharpness that defined him in his prime. He does, however, spend a lot of time pining for more time, and wishing to reconcile with his estranged daughter Winnie (Carey Mulligan). 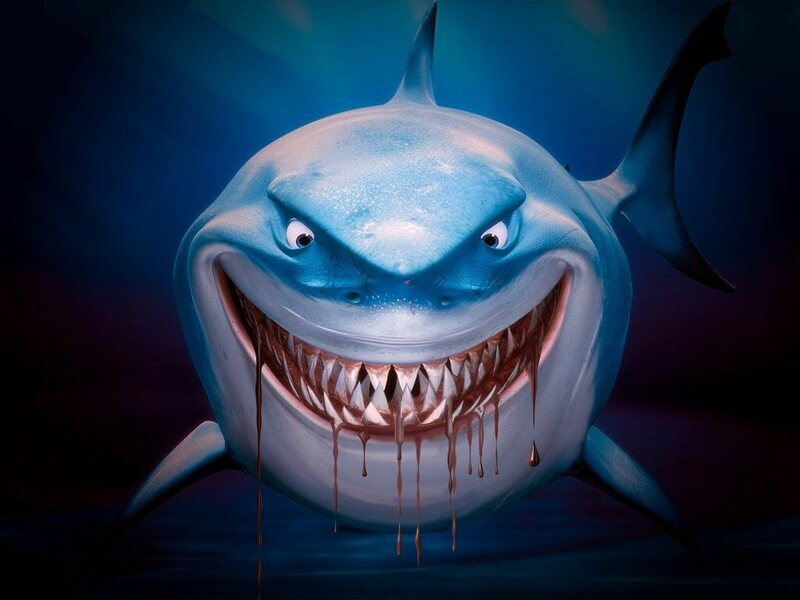 If this movie was just Wall Street 2 and told the tale of Gekko’s return to society and his ascension back up the fiduciary ladder, it could have been a fascinating character study of the latter portion of a shark’s life. Show us Gekko clawing his way back up the ladder, defrauding his own family to get his “stake”, and end it with Gekko, alone and lonely, gazing at the sonogram image of his unborn grandson, a child he will never see or know. Do not give this man a happy ending because it’s a cop out. But that’s exactly what Stone ended up doing. Gekko plays Winnie’s fiancé, rising Wall Street star Jacob Moore (Shia LaBeouf) like a well-tuned fiddle in order to steal Winnie’s legacy, one hundred million dollars Gekko hid in a Swiss bank before he went to jail, but then in the end Gekko donates the original hundred mil to a company Winnie and Jake are interested in and he reconciles with his daughter and parties at his grandson’s first birthday. Yay for everyone. Except it doesn’t ring true. You’ve now spent two movies showing me what a crusty fucker Gordon Gekko is and I’m supposed to believe this sea change? No thanks. 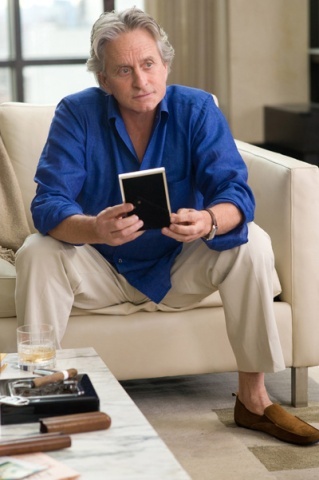 I like the image of Gekko alone, gazing at that sonogram better. And if the movie was simply Money Never Sleeps it could have been an engaging tale of a young couple, ideal college sweethearts, who find that the real world has a way of changing you. Jacob and Winnie are appropriately liberal and upwardly-mobile New Yorkers. She writes for a leftist political blog and he, though a stock broker, believes that alternative energy isn’t another stock bubble but is a real investment future, like biotech was. They live in a fabulous loft but you can see the cracks forming. Winnie really doesn’t care about signifying their wealth but Jacob buys her a huge Bulgari engagement ring. 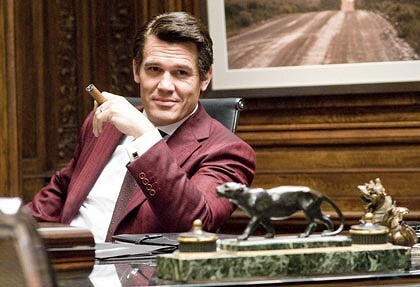 In that movie I would keep Jacob’s mentor, Louis Zabel (Frank Langella, Frost/Nixon) being pushed out of his own investment firm, but I would lose the revenge subplot between Jacob and the rival banker he perceives precipitated Zabel committing suicide (Bretton James, played by Josh Brolin). The whole murder thing was totally unnecessary. Enough to see Jacob watch his mentor fail and then go to work for the man who bought him out, despite the divided loyalty. Because Jacob has Serious Ambitions, which usually lead you to do things like that. Money Never Sleeps should end when Jacob confronts Winnie outside her funky Brooklyn apartment (of course) and holds her pregnant stomach, asking how he can fix the rift between them and being told there is nothing he can do. Sometimes the changes can’t be reversed or overcome. Then there’s the Bretton James movie about the corruption, greed and moral bankruptcy (or rather, moral hazard) that lead to the financial meltdown in 2008. This is the movie that makes you angry at the Wall Street fat cats and the government overseers who turned a blind eye to the whole mess. This storyline encompasses Jacob’s mother, Jules, a former nurse who has gone into real estate on Long Island but lost everything when she couldn’t sell spec homes for developers. Yes, Jules, you have to go back to a job with structured hours and a boss because you can’t live on the price of a dream anymore. This was actually a cohesive plot throughout Wall Street: Money never sleeps, there just wasn’t enough of it. This was the story that made me angry, got me engaged in what I was watching, and had me rooting for a certain outcome (that Bretton James would get his just desserts). Brolin nailed the alternately calculating and charming James; you never doubt his intelligence or capability, just his moral compass. And it ended where I wanted it to, with no cop out BS about James going to jail or anything, you simply see him fighting through a scrum of reporters as his company crumbles around him. We know that scene—we’ve seen it a lot on the news over the last couple of years. 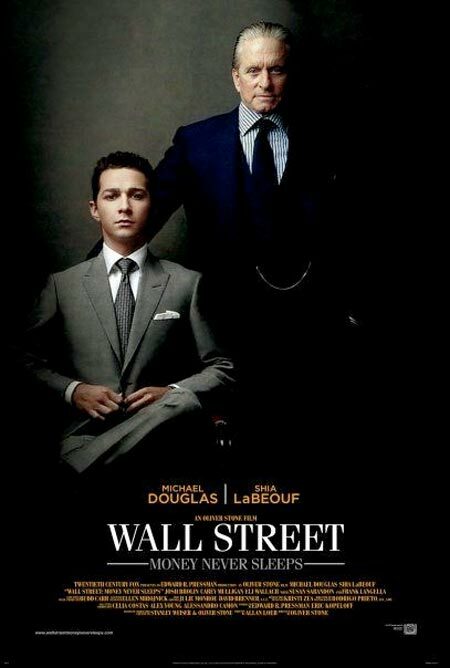 Wall Street: Money never sleeps, despite good acting and engaging characters and slick direction, was just too much. Because of all the competing storylines the editing was an absolute mess, and the dénouement was straight-up insulting. We’re still in this crisis so why wrap up the movie that purports to be about the people who brought it about in a big pretty bow? One day there will be a definitive film about what happened to us all on Wall Street, how the privileged few buggered the rest of us and ran off with our financial security. 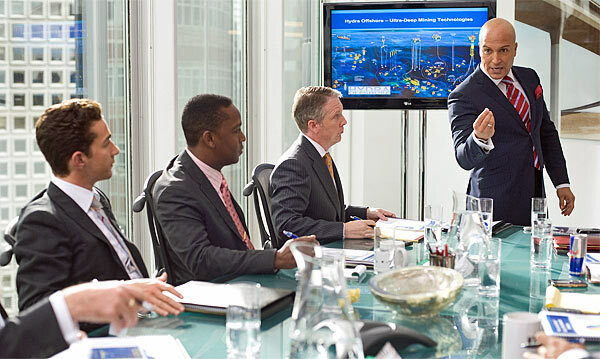 Wall Street: Money never sleeps is not that film. Unlike The Town, Wall Street 2 never really pulled everything together at the end of the movie. Just a bunch of random events that didnt amount to anything. There wasnt nearly as much chemistry between Shia and Douglas as there was with Sheen and Douglas in the first movie.